Patients with schizophrenia who take antipsychotics commonly experience serious adverse metabolic effects including dyslipidemia—a condition characterized by abnormally high levels of total cholesterol, low-density lipoprotein cholesterol (LDL-C), or triglycerides, as well as abnormally low levels of high-density lipoprotein cholesterol (HDL-C). A study published this week in Molecular Psychiatry now suggests that the type 2 diabetes medication metformin may be able to help normalize lipid levels in this patient population. Although there is evidence to suggest metformin decreases triglycerides and LDL-C in patients with diabetes, it was unknown whether the medication would offer similar benefits to schizophrenia patients with antipsychotic-induced dyslipidemia who have weight gain and/or have developed insulin resistance after antipsychotic treatment. After 24 weeks of treatment, 25.3% of patients in the metformin group had dyslipidemia (defined by LDL-C greater than or equal to 3.37 mmol/L) compared with 64.8% in the placebo group. In contrast, 54.2% of the patients in the placebo group who had a normal LDL-C levels at baseline developed dyslipidemia over the course of the trial compared with 14.3% taking metformin. “Metformin treatment had [a] significant effect on not only controlling weight gain, insulin, and insulin resistance, … but also significantly improving the altered level of lipids, including LDL-C, HDL-C, total cholesterol, and triglycerides in blood,” the authors wrote. The findings suggest “that the addition of metformin to antipsychotics is a potential treatment to attenuate dyslipidemia in patients with schizophrenia,” they concluded. A research team from Broad Institute and Harvard Medical School has identified an immune-system gene that is associated with an increased risk for schizophrenia, according to a study published yesterday in Nature. The gene, known as complement component 4 (C4), acts as part of a system that destroys foreign invaders such as bacteria and removes the resulting debris from cells. The complement system also works to remove excess connections between nerve cells as the brain matures. “Normally, pruning gets rid of excess connections we no longer need, streamlining our brain for optimal performance, but too much pruning can impair mental function,” Thomas Lehner, Ph.D., director of the Office of Genomics Research Coordination at the National Institute of Mental Health (NIMH), said in a news release. “[This] could help explain schizophrenia’s delayed age-of-onset of symptoms in late adolescence/early adulthood and shrinkage of the brain’s working tissue. Interventions that put the brakes on this pruning process-gone-awry could prove transformative.” NIMH co-funded this study. In 2014, a landmark NIMH-led genomics study uncovered over 80 new risk variants for schizophrenia. A variant identified on chromosome 6 produced by far the strongest degree of risk, but it has been difficult for researchers to determine the specific genes accounting for this increased risk. In the current study, Steven McCarroll, Ph.D., and colleagues analyzed the genomes of nearly 65,000 people, with or without schizophrenia, and found C4 appears to increase a person’s risk of schizophrenia. Additional analysis in a mouse model revealed that the more C4 activity, the greater the removal of neuronal connections, which may help to explain the reduced numbers of synapses in the brains of individuals with schizophrenia. “Differential synaptic pruning has been a longstanding hypothesis for decades, first put forward by Irwin Feinberg in the 1980s,” said William Carpenter, M.D., a professor of psychiatry at the University of Maryland School of Medicine. “It's been very difficult to prove it one way or the other, but these new findings do point directly to a potential mechanism. A study published yesterday in the Journal of American Medical Association has found no significant differences in the smoking abstinence rates of people who were treated with nicotine patch, varenicline, or a combination nicotine patch/lozenges therapy for 12 weeks. The FDA first added a black box warning to varenicline in 2009 after some reports were made that the medication may increase the risk of depression and suicidal thoughts. While recent evidence suggests that the medication can be used safely, it is recommended that clinicians ask patients about a history of psychiatric illness prior to initiating varenicline treatment and monitor patients on the medication. In contrast, past studies suggest that combination nicotine replacement therapy (C-NRT) poses no greater risk than does NRT monotherapy, which has been found to be safe and well tolerated. To compare the effectiveness of varenicline with nicotine replacement therapy, researchers from the University of Wisconsin School of Medicine and Public Health randomized 1,086 smokers (participants smoked at least 5 cigarettes per day) to one of three, 12-week open-label groups: nicotine patch only, varenicline only, and C-NRT (nicotine patch + nicotine lozenge). All participants received six counseling sessions over the course of the 12-week period, consisting of motivational, supportive, and skill-training elements. When the participants were asked about their past-week smoking habits at 26 and 52 weeks, the data showed that there was no significant difference between the three groups as it relates to achieving abstinence, with smoking cessation rates among the groups ranging from 23% to 27% at 26 weeks and 19% to 21% at 52 weeks (abstinence was confirmed by a carbon monoxide breath test). According to the results, all medications were well tolerated but varenicline produced more frequent adverse events such as vivid dreams, insomnia, nausea, constipation, sleepiness, and indigestion. For related information, see the Psychiatric News article "Varenicline Helps in Gradual Smoking Reduction." 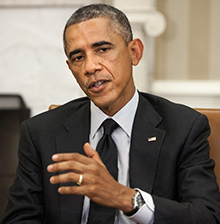 President Barack Obama said yesterday that he will ban the use of solitary confinement for juvenile and low-level offenders in federal prisons, citing the potential for “devastating, lasting psychological consequences” from the use of the isolation as punishment. In 2012, the American Academy of Child and Adolescent Psychiatry approved a policy statement opposing the use of solitary confinement in correctional facilities for juveniles and called for an evaluation by a mental health professional of any youth confined for more than 24 hours. Similarly, in 2014 the AMA approved a resolution saying solitary confinement is detrimental to adolescent health and should be prohibited, except for extraordinary circumstances, such as those that involve protection of the juvenile, staff, or other detainees. Debt may not be universally harmful for children’s well-being, particularly if the debt is due to investment in a home or education, according to a study published in Pediatrics. However, because the study also revealed that some types of parental debt are associated with poorer outcomes in children, the authors suggest that clinicians ask patients about debt and how stress over debt might influence interactions with their children. Previous research on debt and mental health has focused on adults, but the results have been mixed. 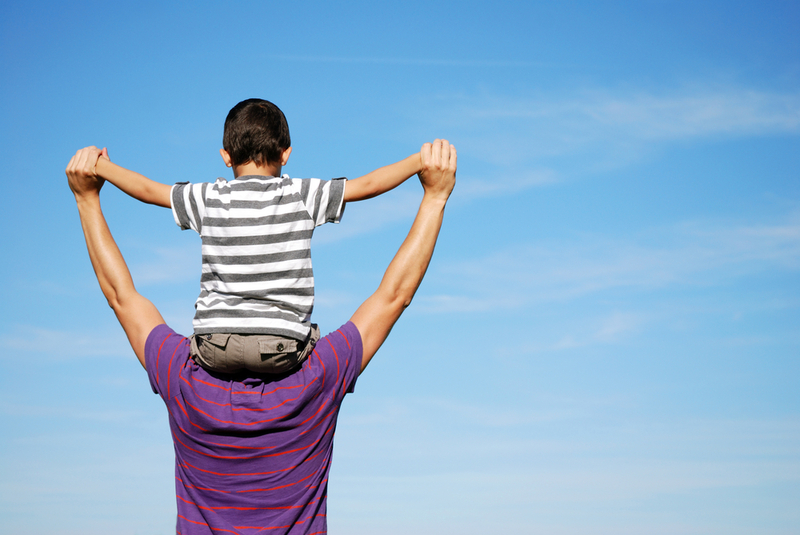 In the current study, believed to be the first of its kind, researchers Lawrence Berger, Ph.D., of the University of Wisconsin-Madison and Jason Houle, Ph.D., of Dartmouth College examined the associations between different types of parental debt and children’s socioemotional well-being. The researchers analyzed data from the National Longitudinal Study of Youth 1979 and Children of the National Longitudinal Study of Youth 1979 cohorts (the sample consisted of 29,318 child-year observations of 9,011 children and their mothers observed annually or biennially from 1986 to 2008). The study authors used the children’s scores on the Behavioral Problems Index to assess socioemotional well-being. The data showed that on average, children whose parents have any debt have slightly less fewer behavioral problems than children whose parents have no debt. Specifically, higher levels of home mortgage and education debt were associated with greater socioemotional well-being for children, whereas higher levels of and increases in unsecured debt were associated with lower levels of and declines in child socioemotional well-being. Programs that teach stress management and cognitive-restructuring skills may help to prevent the onset of depression in teens at high risk for depression, but how effective they are appears to depend largely on the mental health of youth and their parents when the intervention begins, according to a study published online this week in the Journal of the American Academy of Child and Adolescent Psychiatry. Understanding the factors that influence these outcomes may help to guide future program development for youth with a family history of depression. A multi-site, randomized trial targeting adolescents with a family or individual history of depression previously found that youth who participated in a cognitive-behavioral prevention (CBP) program (eight 90-minute group sessions that focused on teaching cognitive-restructuring skills for negative thoughts and stress management held weekly and six additional sessions held monthly) were less likely to report depressive symptoms compared with those who received usual community care when followed up nine months later. However, the trial also revealed that parental depression at baseline moderated the intervention effects. As a follow-up to this trial, V. Robin Weersing, Ph.D., of San Diego State University, and colleagues took at closer look at the demographic, clinical, and contextual characteristics of the families of the 310 adolescents (aged 13 to 17) who were randomly assigned to participate in CBP or usual community care in search of predictors and moderators of acute response to CBP. Their analysis revealed that both parent and adolescent clinical characteristics negatively moderated the effects of CBP: current depression (MDD or dysthymia) and history of hypomania in parents at baseline were significant moderators; for adolescents, higher depressive symptoms, higher anxiety symptoms, lower functioning, and higher hopelessness reported at baseline moderated the effects of the CBP intervention on major depression episodes. “Clinically, this pattern of effects has both positive and negative implications. First, there is a clear indication for the use of CBP in at-risk families when they are clinically stable. Second, it is promising that all of the negative prognostic indicators and significant moderators were potentially modifiable; no demographic factors or historical characteristics (e.g., trauma history, history of past onsets) were associated with response,” the study authors wrote. “The negative implication of these findings, however, is that the version of the CBP intervention used in this trial may be less indicated when families are in the most distress. Cognitive tests may be able to help predict forensic psychiatric patients who are most prone to aggressive behaviors, according to a study published online in Psychiatry Research. Integrating such tests with instruments currently used to assess a patient’s risk of aggression could one day help to improve the ability of psychiatrists to predict these risks. Past studies have linked aggressive behaviors in people to biases and distortions in attention, automatic association, emotion recognition, and response inhibition (the ability to refrain from socially inappropriate responses). 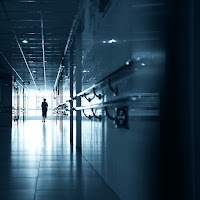 A group of researchers in the Netherlands wanted to know whether such cognitive factors could predict the in-clinic aggressive behavior of forensic psychiatric patients. Sixty-nine male forensic psychiatric inpatients from two settings in the Netherlands participated in a series of tests that assessed attentional bias for threat and aggression (Emotional Stroop), automatic associations (Single Target-Implicit Association Task), emotion recognition (a Graded Emotional Recognition Task), and response inhibition (Go/No-Go task). The study authors also used the Psychopathy Checklist-Revised (PCL-R) to determine the level of psychopathic traits in the study participants and scored the severity of all aggressive incidents reported in patient files within one year of the cognitive testing. The researchers found that increased attention toward threat and aggression, difficulty recognizing sad and happy faces, and PCL-R factor 2 predicted verbal aggression; decreased response inhibition, higher PCL-R factor 2, and lower PCL-R factor 1 scores predicted physical aggression; and difficulty recognizing angry faces predicted aggression against property. A meta-analysis published today in JAMA Psychiatry suggests that young people who take antipsychotics may be more likely to develop type 2 diabetes than those not taking the medications. The findings, wrote study author Chris Correll, M.D. (pictured left), a professor of psychiatry and molecular medicine at Hofstra North Shore-LIJ School of Medicine, and colleagues, emphasize the importance of routine and proactive monitoring of cardiovascular risk factors when prescribing antipsychotics to youth. Previous studies have shown a clear link between antipsychotic treatment and impaired glucose tolerance, insulin resistance, and type II diabetes in adults, but less was known about the type 2 diabetes risk in children and adolescents taking antipsychotics. Correll and colleagues analyzed data from 13 longitudinal studies that reported on incidence of type 2 diabetes in 185,105 youth aged 2 to 24, who were exposed to antipsychotics for at least 3 months. The study authors found that the type 2 diabetes risk and incidence of type 2 diabetes, respectively, were 2.6-fold and 3.0-fold higher in antipsychotic-exposed youth compared with healthy controls and 2.1-fold and 1.8-fold higher compared with psychiatric controls. A separate analysis of 10 of the studies revealed that type 2 diabetes risk was significantly greater in males compared with females, in youth treated with olanzapine, and in those exposed to antipsychotics over a longer period of time. Citalopram may be of limited use for the treatment of agitation in patients with Alzheimer’s disease, according to a report online in AJP in Advance. Researchers from the Citalopram for Agitation in Alzheimer Disease (CitAD) trial found that while patients with mild cognitive impairment and moderate agitation showed some improvements when taking citalopram, placebo proved more effective than citalopram for patients experiencing severe cognitive impairment and agitation. As was described in a 2014 report on the CitAD trial, 186 patients with Alzheimer’s disease and clinically significant agitation were randomly assigned to receive citalopram or placebo for 9 weeks, with the dosage titrated to 30 mg/day over the first 3 weeks. Although citalopram at 30 mg/day was associated with a reduction in agitation in patients with Alzheimer’s disease comparable with placebo, the trial also revealed that some patients taking citalopram experienced a worsening of cognition and adverse cardiac effects. For the current report, researchers analyzed subgroups of the CitAD participants to see if they could determine variables associated with response or lack of response between citalopram and placebo treatments. The researchers found that patients who responded better to citalopram were more likely to be living outside long-term care facilities, have the least cognitive impairment, and have moderate agitation, among other factors. In contrast, patients who responded more favorably to placebo were more likely to be living in long-term care, have moderate to severe cognitive impairment, and have more severe baseline agitation, among others variables. Before, during, or after? Those are the questions facing researchers studying the transmission of stress from one generation to another. “Altogether, far less controversy regarding intergenerational transmission of stress exists today, as transmission has been documented across species, cultures, and trauma types and for a variety of psychiatric disorders,” wrote Mallory Bowers, Ph.D., and Rachel Yehuda, Ph.D., of the Icahn School of Medicine at Mount Sinai in New York in an article appearing in the January issue of Neuropsychopharmacology. The big question, they noted, is how that process takes place. Among other things, the authors described how the offspring of stress- or trauma-exposed parents may be at greater risk for physical, behavioral, and cognitive problems and psychopathology. They also described the biological correlates of intergenerationally transmitted stress and proposed future directions for research. “Although investigations into the intergenerational transmission of stress in humans will continue to be challenged by constraints related to the study of human subjects, the interpretation of these studies will be boosted by biological manipulations in animal studies, the use of conservative statistical tests, large cohorts of human subjects, and the use of identified gold-standard techniques,” the authors noted. “While we propose a few directed lines of inquiry, including the investigation of the role of fathers, imprinting, mitigating factors, and the perpetuation of stress across multiple generations, the field is ripe for addressing a multitude of hypotheses,” they concluded. Patients with treatment-resistant depression who receive cognitive-behavioral therapy (CBT) in addition to antidepressants over several months may continue to benefit from the therapy years later, according to a study in Lancet Psychiatry. While previous studies have reported the effectiveness of CBT for people with treatment-resistant depression, the new findings support the long-term effectiveness of the therapy. As previously described, researchers at the University of Bristol in the United Kingdom randomly assigned 469 patients aged 18 to 75 with treatment-resistant depression to receive usual care or 12 to 18 sessions of CBT in addition to usual care. Participants in the CoBalT trial included those from multiple general practices in the United Kingdom who had been taking antidepressants for six or more weeks, had Beck Depression Inventory [BDI-II] scores of greater than or equal to 14, and met ICD-10 depression criteria. Six months after the CBT sessions ended, 46% of the intervention group met the criteria for response (at least a 50% reduction in depressive symptoms from baseline) compared with 22% in the usual care group. In the current study, the researchers followed up with the participants in the original trial and asked them to complete a questionnaire, which included questions about depressive symptoms and other physical and psychological comorbidities, over a period of three to five years. Of the 248 individuals who completed the long-term follow-up questionnaire, 197 participants (72%) reported taking antidepressants since the initial trial, but sustained use of antidepressants was lower in the intervention group than in the usual care group (101 [68%] in the intervention group vs 96 [76%] in the usual care group). Individuals in the intervention group had a BDI-II score that was, on average, 3.6 points lower than that of the usual care group at 46 months. Additional analysis revealed that participants in the intervention group had nearly a threefold increased odds of response over the 46 months compared with those in the usual care group. Among other differences, those in the intervention group were also more likely to experience remission (BDI-II score less than 10) and a reduction in anxiety over the 46 months compared with those in the usual care group. Patients and clinicians may differ in what they believe is most important when determining a treatment plan, according to a survey published in BMJ Open. The survey, led by researchers from the Dartmouth School Institute of Health Policy and Clinical Practice, included nearly 1,000 U.S. adults who were being treated, were awaiting treatment, or had previously been treated for depression, as well as 250 clinicians (mainly psychiatrists, primary care physicians, and therapists) who had recently treated patients for depression. Both patients and clinicians were asked to rate the information that they believed was most important when choosing a depression treatment. The analysis showed that patients and clinicians both rated the effectiveness of treatment, side effects, and speed of recovery as most important when making a decision about treatment options for depression. However, while treatment costs and insurance coverage were indicated to be of high importance to patients, how a treatment works and how it should be used were rated more highly by clinicians. When considering the information priorities from a patient’s perspective, clinicians ranked treatment cost and insurance coverage of treatment of greater importance. The proportion of new clozapine trials for Medicaid patients with schizophrenia, among all new outpatient antipsychotic trials, increased 40% between 2009 and 2013 in New York state, following a multifaceted state initiative aimed at educating clinicians, patients, and their families about the benefits of this particular antipsychotic medication and providing support to clinicians in its use. The largest gains occurred in state-operated clinics, according to a report by representatives from the New York State Office of Mental Health (NYSOMH) in Psychiatric Services in Advance. Clozapine has been shown to be the most effective antipsychotic for treatment-resistant schizophrenia, yet clinicians have been reluctant to use it for a host of reasons. In 2010, NYSOMH introduced the “Best Practices Initiative—Clozapine” to promote the evidence-based use of clozapine in state-operated facilities. The initiative engaged academic partners at New York state research institutions and clinical leaders from state-operated psychiatric centers. NYSOMH also partnered with the Center for Practice Innovation at the New York State Psychiatric Institute to create interactive, Internet-based educational programs to provide information about clozapine to consumers, family members, and clinicians. A retrospective, longitudinal study of patterns of new antipsychotic starts for individuals identified by Medicaid data as having schizophrenia revealed 115,320 “new starts” of antipsychotics between 2009 and 2013. The percentage of clozapine new starts among all new antipsychotic trials increased from 1.5% in 2009 to 2.1% in 2013, according to the report. In comments to Psychiatric News, coauthor Lloyd Sederer, M.D. (pictured above), chief medical officer of the NYSOMH, said that the success of the initiative is due to a multifaceted campaign that includes clinician and patient education, a telephone consultation service in which clinicians can call clinical experts with questions, and regular monitoring and performance improvement at state facilities, among other activities. A population study published today in the Journal of the American College of Cardiology points to a link between depressive symptoms and early biological indicators of heart disease, and highlights the potential for physical exercise to attenuate this risk. Researchers from Emory University evaluated 965 adults (average age 49) who were free of any cardiovascular disease and had no history of an affective, psychotic, and/or anxiety disorder. All the patients completed a Beck Depression Inventory-II (BDI-II) questionnaire and underwent tests of their vascular function. 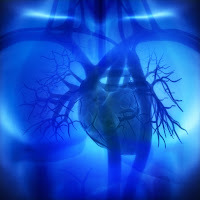 Subsequent analysis found that even when considering other factors associated with heart problems such as age, weight, or hypertension, higher BDI-II scores were associated with early cardiovascular disease (CVD) indicators like arterial stiffening and inflammation. There was a significant interaction between these indicators and exercise, with sedentary individuals showing more severe arterial stiffening and inflammation, while these symptoms were attenuated in physically active people. A study published this week in JAMA Psychiatry shows that the age at onset of menopause may influence a woman’s risk for depression later in life. Researchers from the National and Kapodistrain University of Athens in Greece conducted a meta-analysis of 14 published studies (including 67,714 woman) that focused on the association between age at menopause or the duration of the reproductive period and the risk of subsequent depression. Overall, the analysis revealed that increasing age at menopause and duration of the reproductive period was associated with a reduced risk of depression in postmenopausal women—an effect that remained after controlling for premenopausal depression and hormone therapy use. Those whose menopause began when they were 40 or older had a 50 percent decreased risk for subsequent depression than those with premature menopause. “These findings indicate that a shorter exposure to endogenous estrogens that is linked to a longer duration of estrogen deficiency… increases the risk for subsequent late-life depression and emphasizes the importance of the neuroprotective and antidepressive properties of endogenous estrogens,” the researchers wrote. “If confirmed in prospective and culturally diverse studies controlling for potential confounders and assessing depression via psychiatric evaluation, these findings could have a significant clinical effect by allowing for the identification of a group of women at higher risk for depression who may benefit from psychiatric monitoring or estrogen-based therapies,” they added. Four of the articles chosen as the NEJM Journal Watch Psychiatry’s top 10 most clinically important psychiatry research articles of 2015 appeared in the American Journal of Psychiatry (AJP). No other journal in the list had more than one publication. “The predominance of AJP in this top 10 list reinforces our emphasis on choosing landmark studies that will advance the clinical practice of psychiatry, as well as those that will provide direction for future research,” AJP Editor-in-Chief Robert Freedman, M.D., told Psychiatric News. 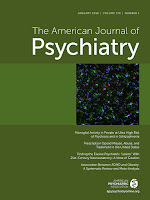 Two of the AJP studies selected for inclusion focused on promising new treatments for psychiatric disorders: Helen Lavretsky, M.D., and colleagues found that combining the antidepressant citalopram with methylphenidate, a stimulant, appears to improve outcomes in geriatric patients with depression; and an article by John Kane, M.D., and colleagues outlined a multifaceted treatment approach to first-episode psychosis that improves functional and clinical outcomes. The other two AJP studies named in the top 10 list aim to improve clinical assessment: A study by Terrie Moffitt, M.D., and colleagues revealed that adults with attention-deficit/hyperactivity disorder (ADHD) do not share all the characteristics of childhood ADHD and that many adults with ADHD do not have a history of the childhood disorder; and Richard Wesseloo, M.D., and colleagues found patients with bipolar disorder were significantly less likely to experience severe episodes postpartum than patients with a history of postpartum psychosis. Among other articles in the top 10 list were reports on the use of omega-3 fatty acids in the prevention of psychosis, bilateral transcranial magnetic stimulation for treatment of schizophrenia, the deleterious effects of marijuana use on symptoms of posttraumatic stress disorder, and the safety of SSRIs in pregnancy. 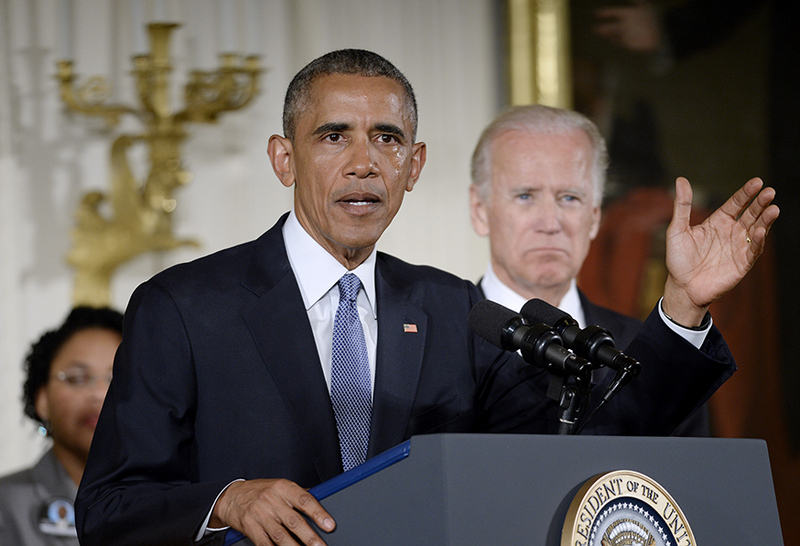 President Barack Obama this morning announced several executive actions intended to reduce gun violence in the United States. The steps included tightening requirements for background checks for gun purchasers while upgrading the background system, better enforcement of existing gun laws, more research on gun safety technology, and an added focus on domestic violence. Obama also called for an additional $500 million to increase access to mental health treatment, noting that the majority of gun deaths were suicides. The administration issued a final rule today governing the Health Insurance Portability and Accountability Act of 1996 (HIPAA) to permit certain hospitals and state agencies to report individuals under specific circumstances to the National Instant Criminal Background Check System (NICS). For more in Psychiatric News about reducing gun violence, see “Gun Violence Reduction Possible With Combined, Varied Actions.” Also see the new book Gun Violence and Mental Illness from American Psychiatric Association Publishing edited by Liza H. Gold, M.D., and Robert I. Simon, M.D. Inpatient hospitalization is considered essential for treating adolescents who report severe suicidal thoughts or actions. However, a significant number of adolescents continue to experience suicide-related outcomes after discharge, including rehospitalizations, emergency department visits, persistent suicidal ideation, and repeated suicidal behavior. A study published today in Psychiatric Services in Advance has found that rehospitalization shortly after a psychiatric hospitalization is a strong indicator of the future risk of suicide attempt, which has important implications for the clinical management of readmitted adolescents. This study involved 373 adolescents (aged 13 to 17), who were hospitalized because of acute suicidal ideation or a recent suicide attempt. Researchers measured suicidal ideation and attempts, psychiatric rehospitalization, and more within one week of hospitalization, and follow-up data were collected three, six, and 12 months later. Participants were grouped into one of three categories based on their suicidal ideation levels during the course of the year: chronically elevated, initially elevated but declining, and subclinical (low ideation). The researchers found that being rehospitalized within three months after the index hospitalization was associated with greater risk of suicide attempts. 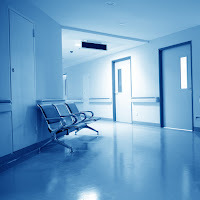 Among adolescents with chronically elevated or initially elevated but fast declining ideation, rehospitalization was also associated with higher average levels of ideation compared with teens who were not rehospitalized; however, in subclinical teens, rehospitalization had a protective effect and reduced average ideation scores. “Our findings have implications for intervening with readmitted adolescents, including the need for posthospitalization services, addressing potentially self-defeating cognitions about hospitalization, and addressing realistic expectations with adolescents and families,” the study authors wrote.